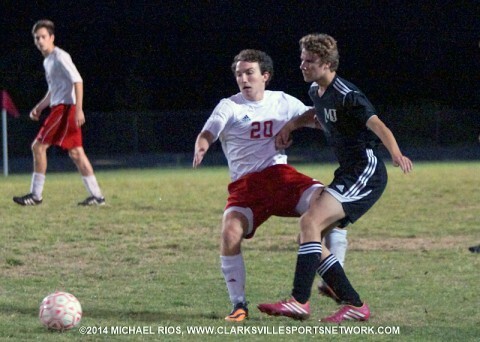 Clarksville, TN – For the first time in school history, the Rossview Hawks boys soccer team hosted the Region 5-AAA Finals against the 2013 Region Champion Mount Juliet Golden Bears Thursday, May 15th. The home field did not help the Hawks withstand the Golden Bears offensive attack. The Golden Bears captured their second Region Championship in a row, defeating the Hawks 3-1. The Golden Bears frontline pressed the Hawks most of the game. Their speed kept the Hawks on the defensive. Rossview was beat to the ball and lost most of the one-on-one battles.